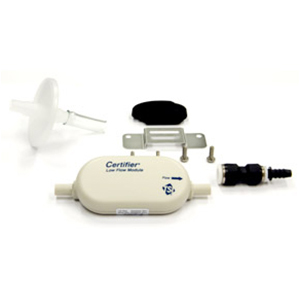 The Certifier® FA Plus Low Flow Module 4082 is used for testing oxygen concentrators and other low flow devices. It is not designed for testing ventilators. Applicable accessory for Certifier FA Plus Ventilator Test System 4080.